While staying in a flat in Alexandria, Virginia (see Early April-Early May, 2001), 9/11 hijackers Nawaf Alhazmi and Hani Hanjour tell two roommates that they had thought of going to Afghanistan for jihad. According to the 9/11 Commission, “The al-Qaeda operatives spent little time with their roommates, but did mention at one point that they had considered going to Afghanistan for jihad.” [9/11 Commission, 7/24/2004, pp. 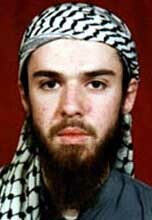 523] In fact, Alhazmi, an al-Qaeda veteran, has already spent time in Afghanistan (see 1993-1999). 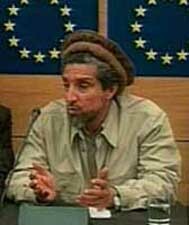 Hanjour may also have traveled to Afghanistan already (see (Early 2000-November 2000)). 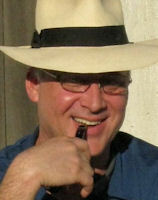 Alhazmi made similar comments when he lived in San Diego (see (Spring 2000)). Ahmed Alnami receives a new passport from Saudi Arabia. According to the 9/11 Commission, the passport may contain an “indicator of extremism” that is “associated with al-Qaeda.” However, although it is certain some of the other hijackers have such indicator in their passports, it is not certain that Alnami does. The commission will merely say that there “is reason to believe” his passport may contain such indicator and note that it was “issued in the same Saudi passport office” that issued passports with the indicator to some of the other hijackers. In addition, Alnami obtains two passports before 9/11 (see also November 6, 1999), and it is not clear whether the commission thinks both of the passports have the indicator, or just one of them. 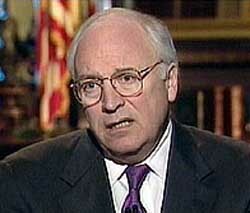 [9/11 Commission, 7/24/2004, pp. 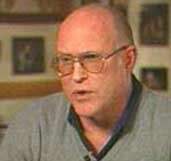 564; 9/11 Commission, 8/21/2004, pp. 9, 21, 33 ] According to author James Bamford, the indicator is a “secret coded indicator, placed there by the Saudi government, warning of a possible terrorist affiliation.” [Bamford, 2008, pp. 58-59] The Saudi government reportedly uses this indicator to track some of the Saudi hijackers before 9/11 “with precision” (see November 2, 2007). After acquiring a new Saudi passport (see April 21, 2001), future 9/11 hijacker Ahmed Alnami obtains a new US visa at the US consulate in Jeddah, even though he already has a valid US visa in his old passport (see October 28, 2000). [9/11 Commission, 8/21/2004, pp. 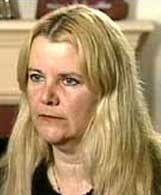 21 ] The visa is issued by Shayna Steinger, a consular official who apparently issues the 9/11 hijackers with 12 visas (see July 1, 2000) and had issued Alnami’s previous visa. [9/11 Commission, 12/30/2002, pp. 2; Office of the Inspector General (US Department of State), 1/30/2003] A handwritten note on Alnami’s application indicates that he is interviewed briefly, either by Steinger or another staff member. Previous Visa - Alnami marks the “no” box in response to a question asking if he has ever applied for a US visa previously, but changes his answer to “yes,” possibly due to the brief interaction with Steinger or another consular official. However, he fails to specify when he applied for the visa. Had he done so, it would have been clear that he was applying for another visa long before his previous visa had expired, which would have raised questions. The information about his previous visa is available at the consulate, but is not accessed, as consular workers do not usually examine previous visa issuances, only refusals. May 2: Majed Moqed and Ahmed Alghamdi arrive in Washington. Both actually arrived by mid-March 2001. 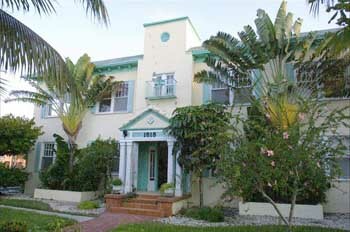 A man named Ahmed Alghamdi lived with a man named Waleed Alshehri in Florida and Virginia between 1997 and 2000. 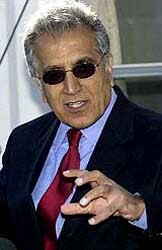 However, it is not clear whether they were the hijackers or just people with the same name (see 1999). [Daily Telegraph, 9/20/2001] Alghamdi apparently praises Osama bin Laden to Customs officials while entering the country and Moqed uses an alias (see May 2, 2001). May 28: Mohand Alshehri, Hamza Alghamdi, and Ahmed Alnami allegedly arrive in Miami, Florida. Alnami may have a suspicious indicator of terrorist affiliation in his passport (see April 21, 2001), but this is apparently not noticed by US authorities. The precise state of US knowledge about the indicator at this time is not known (see Around February 1993). The CIA will learn of it no later than 2003, but will still not inform immigration officials then (see February 14, 2003). According to other reports, however, both Mohand Alshehri and Hamza Alghamdi may have arrived by January 2001 (see January or July 28, 2001). June 8: Ahmed Alhaznawi and Wail Alshehri arrive in Miami, Florida. Alhaznawi may have a suspicious indicator of terrorist affiliation in his passport (see Before November 12, 2000), but this is apparently not noticed by US authorities. June 27: Fayez Banihammad and Saeed Alghamdi arrive in Orlando, Florida. June 29: Salem Alhazmi and Abdulaziz Alomari allegedly arrive in New York. According to other reports, however, Alhazmi arrived before February 2001. Alhazmi has a suspicious indicator of terrorist affiliation in his passport (see June 16, 2001), but this is apparently not noticed by US authorities. After entering the US (or, perhaps, reentering), the hijackers arriving at Miami and Orlando airports settle in the Fort Lauderdale, Florida, area along with Mohamed Atta, Marwan Alshehhi, and Ziad Jarrah. The hijackers, arriving in New York and Virginia, settle in the Paterson, New Jersey, area along with Nawaf Alhazmi and Hani Hanjour. [US Congress, 9/26/2002] Note the FBI’s early conclusion that 11 of these muscle men “did not know they were on a suicide mission.” [Observer, 10/14/2001] CIA Director Tenet’s later claim that they “probably were told little more than that they were headed for a suicide mission inside the United States” [US Congress, 6/18/2002] and reports that they did not know the exact details of the 9/11 plot until shortly before the attack [CBS News, 10/9/2002] are contradicted by video confessions made by all of them in March 2001 (see (December 2000-March 2001)). 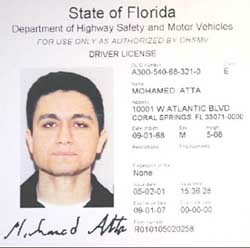 9/11 hijacker Mohamed Atta is stopped at a random inspection near Fort Lauderdale, Florida, and given a citation for having no driver’s license. He will get a new Florida driver’s license on May 5. However, he will fail to show up for his May 28 court hearing, and a warrant will be issued for his arrest on June 4 (see June 4, 2001). [Wall Street Journal, 10/16/2001; Australian Broadcasting Corporation, 11/12/2001; St. Petersburg Times, 12/14/2001] Police do not check his immigration status, which would require a call to a Law Enforcement Support Center hotline. Had such a call been made, it would have revealed Atta had overstayed his visa. 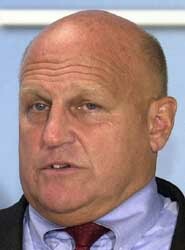 [GovExec, 3/16/2004] An FBI timeline compiled after 9/11 does not mention whether this incident is entered into the NCIC, a nationwide police database. [Federal Bureau of Investigation, 10/2001, pp. 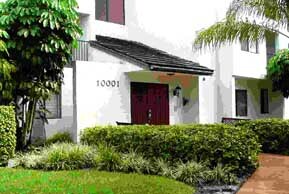 138 ] Curiously, on the day of 9/11, a woman claiming to be Atta’s wife will go to a Florida courthouse and attempt to clear this from Atta’s record, but Atta did not have a wife (see September 11, 2001). 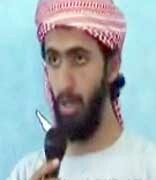 Future 9/11 hijacker Saeed Alghamdi wires $1,360 from Jeddah, Saudi Arabia, to someone in Johannesburg, South Africa. The name of the person who receives the Western Union wire is Abdullah Abdulrahman Alghamdi, according to an FBI document of 9/11 hijacker activities made after the attacks. [Investigative Services Division, FBI Headquarters, 4/19/2002] The name may be an alias for alleged 9/11 mastermind Khalid Shaikh Mohammed (KSM), who uses very similar aliases and travels very widely in the years before 9/11 (see for instance June 1998). For example, around this same time KSM applies for a US visa using a passport with the name Abdulrahman al Ghamdi and a real photo of himself (see July 23, 2001). Also, a 2006 Guantanamo document will give one of his aliases as Abdul Rahman Abdullah Faqasi al-Ghamdi. [US Department of Defense, 8/12/2006] A later Justice Department indictment will give one of his aliases as Abdulrahman Abdullah al-Ghamdi. [US District Court Southern District of New York, 4/4/2011 ] There is no publicly known al-Qaeda presence in South Africa at this time. However, there is an intriguing mention in another intelligence document that an al-Qaeda operative linked to KSM told another al-Qaeda leader in early 2000 of an address in South Africa where a contact existed who could provide help (see Early January 2000). April 30, 2001: Deputy Defense Secretary Wolfowitz in Deputy Secretary Meeting: Who Cares About [Bin Laden]? An Iranian in custody in New York City tells local police of a plot to attack the WTC. No more details are known. [Fox News, 5/17/2002] Interestingly, an Iranian in prison in Germany will also warn of an attack on the WTC (see Early September 2001), but it is not known if the two cases are related. Over a two-month period, the NSA reports “at least 33 communications indicating a possible, imminent terrorist attack.” None of these reports provide any specific information on where, when, or how an attack might occur. The reports are widely disseminated to other intelligence agencies. [US Congress, 9/18/2002; MSNBC, 9/18/2002; Senate, 9/26/2002, pp. p. 9365] National Security Adviser Condoleezza Rice will later read what she calls “chatter that was picked up in [2001’s] spring and summer. ‘Unbelievable news coming in weeks,’ said one. ‘A big event… there will be a very, very, very, very big uproar.’ There will be attacks in the near future.’” [Washington Post, 4/8/2004] The NSA director will claim in 2002 that all of the warnings were red herrings unrelated to the 9/11 attacks. [US Congress, 10/17/2002] However, in 2004 it will be revealed that the 9/11 attacks were originally planned to take place between May and July 2001, but were delayed until September (see May-July 2001). In 2001, bin Laden apparently pressures Khalid Shaikh Mohammed for an attack date earlier than 9/11. According to information obtained from the 9/11 Commission (apparently based on a prison interrogation of Mohammed), bin Laden first requests an attack date of May 12, 2001, the seven-month anniversary of the USS Cole bombing. Then, when bin Laden learns from the media that Israel’s Prime Minister Ariel Sharon would be visiting the White House in June or July 2001, he attempts once more to accelerate the operation to coincide with his visit. [9/11 Commission, 6/16/2004] The surge of warnings around this time could be related to these original preparations. By mid-July, US intelligence will learn of this delay (see July 13, 2001). 9/11 hijacker Ahmed Alhaznawi enters Saudi Arabia. 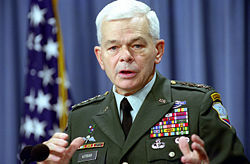 The exact date on which he does so is unknown, but it must be between May 7, when he arrives in the United Arab Emirates from Pakistan (see April 11-June 28, 2001) and June 1, when he leaves Saudi Arabia (see June 1, 2001). [Federal Bureau of Investigation, 10/2001, pp. 151 ; US District Court for the Eastern District of Virginia, Alexandria Division, 7/31/2006, pp. 42-50 ] According to the 9/11 Commission, Alhaznawi may have had a passport with an indicator of Islamic extremism (see Before November 12, 2000). Such indicators were used by the Saudi authorities to track some of the hijackers before 9/11 (see November 2, 2007). A walk-in to an FBI office claims that there is a radical fundamentalist plot to launch attacks on Boston, New York, and London. The 9/11 Commission will later claim that the walk-in’s report was discredited, but it is unknown if this happened before or after 9/11. [9/11 Commission, 7/24/2004, pp. 255, 533] A declassified copy of the FBI warning obtained by the Intelwire website in 2008 will shed further light on the warning. Although parts of the warning are redacted, it appears the walk-in claims that three high-ranking al-Qaeda prisoners held in prison in Britain, Khalid al-Fawwaz, Adel Abdel Bary, and Ibrahim Eidarous, would launch the attack if they are extradited to the US. The warning claims that the attack has been planned for several years and operatives are already in the US to carry it out. The plan may involve a boat loaded with explosives or an attack on a large building. [Federal Bureau of Investigation, 5/7/2001 ] In August 2001, a different source will also claim to have learned of an attack on New York, possibly the World Trade Center, from the same three prisoners (see August 21, 2001). 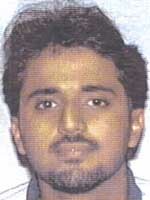 9/11 hijacker Ahmed Alnami departs Saudi Arabia, traveling to the United Arab Emirates. [Federal Bureau of Investigation, 10/2001, pp. 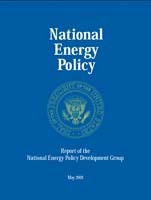 142 ] According to the 9/11 Commission, Alnami may have had a passport with an indicator of Islamic extremism (see April 21, 2001). Such indicators were used by the Saudi authorities to track some of the hijackers before 9/11 (see November 2, 2007). 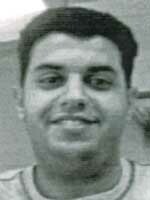 9/11 hijacker Satam Al Suqami becomes an illegal overstay on this day. He entered the US on April 23 (see April 23-June 29, 2001) and was allowed to stay for 30 days, so, according to the 9/11 Commission, his permission to remain in the US expires on this day. He remains in illegal status until 9/11. [9/11 Commission, 8/21/2004, pp. 8, 21, 23 ] Hijackers Mohamed Atta and Marwan Alshehhi also overstayed their visas at times (see January 10, 2001 and January 18, 2001). At least one more of the hijackers, Khalid Almihdhar, lied on his visa application form, meaning he was in the US illegally (see August 29, 2001). 9/11 hijacker Marwan Alshehhi takes a three-day trip to Las Vegas, and will later say he was followed on the trip. 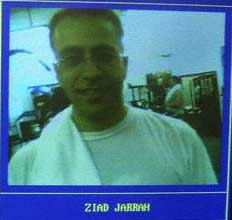 One of the hijackers’ associates, Ramzi bin al-Shibh, will later say in a 2002 interview that Alshehhi felt he was followed on a flight from New York to California by “security officers.” Bin al-Shibh will also say that fellow hijacker Ziad Jarrah felt he was followed on a similar flight (see June 7-10, 2001). 9/11 hijackers Nawaf Alhazmi and Khalid Almihdhar have also been concerned about possibly having been followed on a flight to the US (see January 15, 2000 and Mid-July 2000). [Fouda and Fielding, 2003, pp. 135] After arriving in New York from Florida and spending the night there, Alshehhi flies from New York to Las Vegas via San Francisco. He spends all but one night in Las Vegas at the St. Louis Manor hotel. He is clearly remembered by staff, who recall his face, manners, and that he was once visited by another man of Middle Eastern descent. He returns via the same route. [Las Vegas Review-Journal, 10/31/2001; US District Court for the Eastern District of Virginia, Alexandria Division, 7/31/2006, pp. 53-4 ; US District Court for the Eastern District of Virginia, Alexandria Division, 7/31/2006, pp. 3, 19 ] Several other hijackers also travel to Vegas (see May 24-August 14, 2001). Tom Wilshire, a CIA officer on loan to the FBI, obtains three photographs from the surveillance of al-Qaeda’s Malaysia summit (see January 5-8, 2000), and passes them to Dina Corsi, an agent with the FBI’s bin Laden unit. Corsi learned of the photographs’ existence following a discussion with CIA officer Clark Shannon. Although Wilshire does not have a “substantive conversation” with Corsi about the photos, he does identify hijacker Khalid Almihdhar in one of them, and says Almihdhar traveled from Sana’a, Yemen, to Dubai, United Arab Emirates, and then Kuala Lumpur, Malaysia, in early January 2000. However, Wilshire omits to mention that Almihdhar has a US visa, his associate hijacker Nawaf Alhazmi has traveled to the US, or another associate, Khallad bin Attash, has been identified in the photos. He also does not say why the photos were taken. Author Lawrence Wright will later say the photos are passed because Wilshire wants to know what the FBI knows. The CIA says it thinks the photos may show Fahad al-Quso, an al-Qaeda operative involved in the USS Cole bombing. Corsi understands that the photos are “not formally passed” to the FBI, but are only for limited use at a forthcoming meeting. 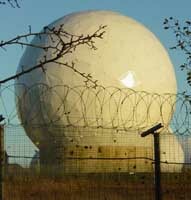 Therefore, only limited information about them is provided at the meeting, causing a disagreement (see June 11, 2001). However, Wilshire will later say that Corsi could give the photos to the FBI, but the FBI could not then give them to a foreign government (note: the photos had been provided to a foreign government five months previously, so this restriction is meaningless). [US Department of Justice, 11/2004, pp. 286-7, 293-4 ; New Yorker, 7/10/2006 ] Other pictures of the summit are available to the CIA, and there is even video footage (see February 2000 and Mid-May 2001), but these are not shared with the FBI or widely discussed. 9/11 hijacker Khalid Almihdhar enters Saudi Arabia on a flight from Sana’a, Yemen. [Bamford, 2008, pp. 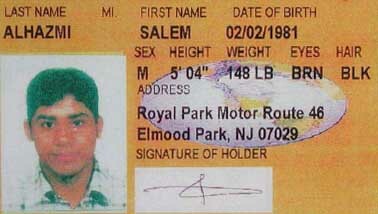 64] Almihdhar is on the terrorist watch list there (see 1997), and his passport contains an indicator the Saudi authorities use to track terrorists (see April 6, 1999), so the Saudis presumably register his arrival. 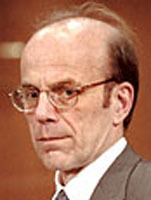 Almihdhar likely visits the monitored Yemen hub at this time, since it is in Sana’a and his wife, baby, and other family live at the hub (see (May 26, 2001)).